confessional beauty reminding us of his best work. 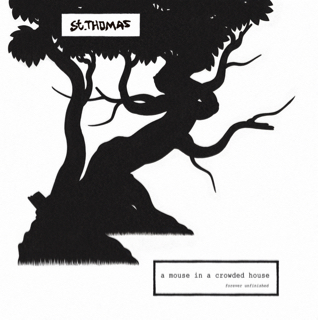 The new british film about St. Thomas, premiering at Bergen International Film Festival. Racing Junior release St. Thomas, AnimAL Alpha, Ai Phoenix, Salvatore, Hello Goodbye, Daniel Johnston, Portrait of David, Bonk, Merry November, Electones, Sketch, Toyen, Tøyen. Our releases are distributed by Sonet / Universal in Norway. Artists like St. Thomas, Ai Phoenix, and Salvatore are distributed in most European countries, plus North America, Australia, Japan, and more.